According to the House Price Index, published by Istat on 10 January 2019 the average price of existing dwellings in Italy fell slightly by 1.3% in the third quarter of 2018. This is compared to the same period of the previous year. New dwelling prices, on the other hand, increased by 1.4% compared to the year before. When you consider that young Italian buyers are more inclined to want a modern home in the city where they work, it’s not surprising that this sector is where the increases are happening. 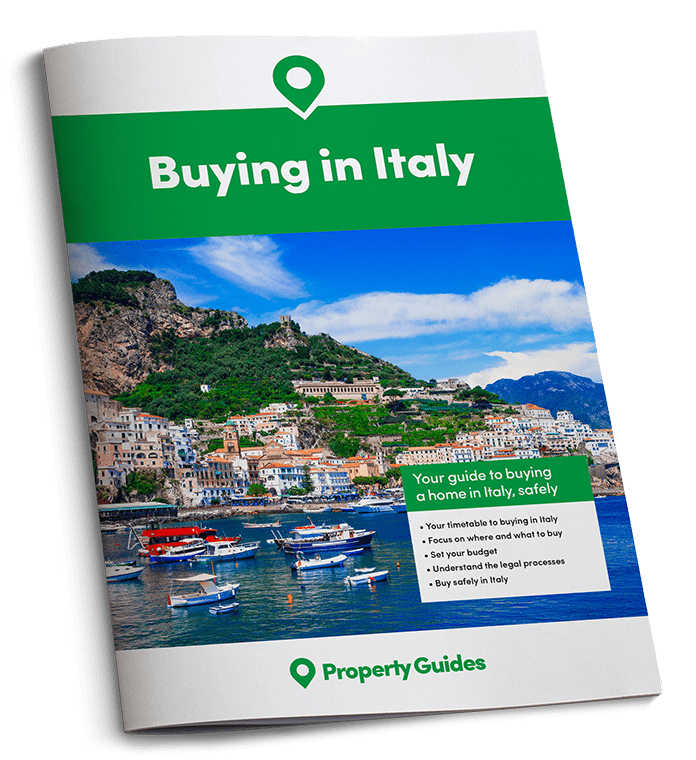 If you want to take advantage of low prices in the Italian property market in 2019, our free Italy Property Hunter service is for you! In the first three quarters of the last year, home sales and purchases in Italy rose by 2.3% on the previous year, driven by the sale of new homes (+9.4%). The biggest increases in sales of new properties were recorded in Naples, which saw an increase of +15.2%, followed by Milan (+14.5%), Rome (+13%), Turin (+11.3%) and Bologna (+9.7%). Sales also grew at a lesser rate, in Genoa (+5.5%), Florence (+3.2%) and Palermo (+2.6%). Cities popular with visitors, such as Venice, Milan, Rome and Florence are expecting a continuing strong market in 2019, due in part to the growing tourist market. As many properties are in need of modernisation, these could turn out to be a good investment for British buyers willing to do some modernisation work to bring them up to a luxury standard, before putting them on the holiday rental market. Other cities with buy to let potential are Turin, Bologna and Naples, where young people are relocating for work and university. 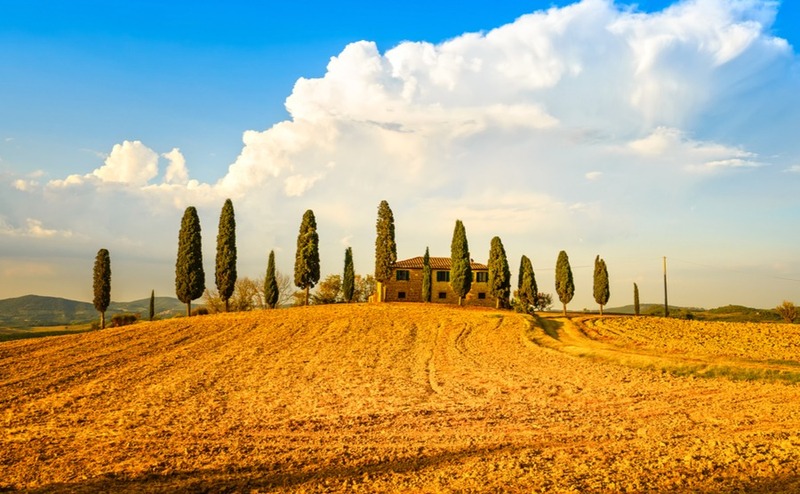 As in previous years, we expect to see a lot of interest from overseas buyers in the rural Italian property market in 2019. As many of the major cities are in the north, where transport links with the rest of Europe are excellent, demand and property prices are still generally higher than in the more rural south. However, the south is starting to attract more attention and 2019 could be the year when it gets the recognition it deserves. As well as milder weather, lower property prices and living costs, some regions are now offering retirees favourable income tax rates. For the first six years of residency, the flat rate tax of 7% on foreign income, will benefit eligible applicants moving to villages with less than 20,000 residents. The central and southern regions it applies to are Sicily, Sardinia, Campania, Basilicata, Abruzzo, Molise and Puglia. The government hopes that the scheme will attract people who have the economic resources that will positively affect the economy in these regions. Inheriting property is very common in Italy and most people own their own home or live in a property owned by family. It’s not unusual to live with your parents well into your 30s. Italians are also having fewer children than in the past, averaging 1.32 children per woman, so that’s even less people to inherit or buy property. The younger generation are less interested in the countryside than their grandparents, so in some cases, people are partly financing property purchases in town, by selling a countryside property they have inherited. In the past they would have just hung on to it and used it occasionally at weekends and in the summer. But, an increase in the tax on second homes in recent years has encouraged more people to put these buildings up for sale. This is great news for those of us who prefer to buy a home in a rural location, as prices are generally lower than for a similar size property in the UK and much cheaper than in the city. 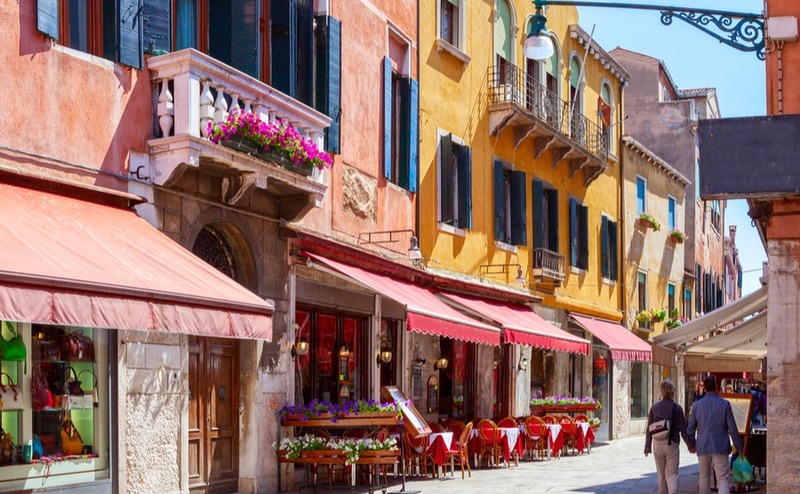 With town prices in the UK being so high, 2019 could be the perfect time to take advantages of low prices in the Italian property market in 2019. There are many gorgeous stone houses on the market in beautiful countryside surroundings, like this detached home in Umbria for just €260,000. There are also some very cheap buildings for sale that are little more than ruins or a stone shed. It is these that are keeping average prices down. In the same country lane you might find a €40,000 trullo near a €1million masseria. On Property Guides there are over 1700 properties listed under €150,000. 300 of these are under €50,000! ISTAT have recorded a drop in residential listings of 0.8% on an annual basis in the third quarter of 2018, so we may be seeing a slowdown of this type of dwellings coming fresh onto the market. Regions such as Molise, Abruzzo, Marche, Calabria and Sicily still have plenty of cheap properties for sale. But, if you have a low budget don’t rule out the more popular regions such as Apulia, Umbria and Lazio, as there are still some bargains to be found. When looking at any data relating to property prices you need to be aware that it is very general and that there are a number of immeasurable factors that will also affect the price. A property is only really worth what a person is willing to pay for it. Estate agents will talk about the “average price per square metre” in a particular area. However, Italian properties vary so much in style, quality of build, condition, amenities, surroundings and distance to the nearest town and transport links, that m2 price is a very rough guide indeed. It is very difficult for sellers in Italy to put a value on their home, as there is rarely an identical house nearby, to compare with, especially in the countryside. On the plus side, this does mean that when you find your dream home in Italy it will feel unique, homely and full of character. Even town apartments can vary greatly once you get past the plain exterior. In Italy you certainly can’t judge a house by its facade or photos on the internet. I recommend viewing a selection, comparing prices and judging for yourself what the property is worth to you. Always consider the cost of any work needed before making an offer. Some people don’t want the time involved in doing a renovation and begin by looking for something ready to move in to. But, more often than not, there will be a certain amount of updating needed. What are the average property prices in Italy? It shows that the highest average asking prices are in the Valle d’Aosta (3,042 per/m2), a region that borders France and Switzerland. Yet, in Molise average prices are a third of that (1,042). Piedmont (1,350), Umbria (1,211) and Apulia (1,320) continue to increase in popularity with foreign buyers and still have fairly low average prices. Even a small town in Italy will normally have a good number of local services and eateries. The islands of Sardinia and Sicily, whilst having middle range average prices, also have some of the cheapest properties on the market. The price difference between the coastal tourist resorts and inland is very large indeed. Even within a city region, such as Lazio, average prices in the province of Rome are three times higher than in the neighbouring provinces of Viterbo and Frosinone, yet they are within good commuting distance. It is just that Italians prefer to be right in the city or right on the sea. While many towns in Britain are seeing shops, post offices and even hospitals and police stations close down, in Italy you will still find these as well as bakers, butchers, fishmongers, cafes, bars, restaurants and weekly markets selling fresh local produce. This is great for us Brits who like to be on the outskirts of a town where we can enjoy peaceful surroundings, yet be a short drive from cafes, shops and cultural events. While many towns in Britain are seeing shops, post offices and even hospitals and police stations close down, in Italy you will still find these as well as bakers, butchers, fishmongers, cafes, bars, restaurants and weekly markets selling fresh local produce. Don’t let worries about healthcare put you off! Learn more about medical attention overseas in our Healthcare Guide. The Italian people know how to keep a sense of community alive by meeting up in piazzas and cafes and passing down traditions through cultural events. So, you can look past the big cities to find a town with all the amenities you need. An escape to the country doesn’t have to mean that your nearest village has nothing but a pub.